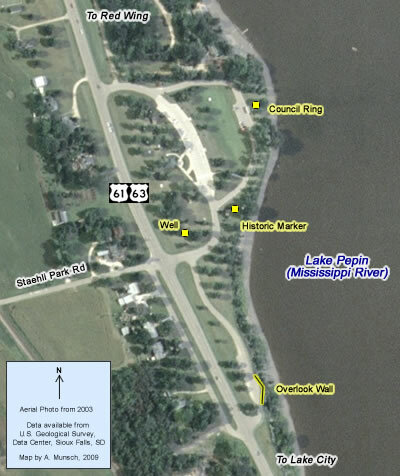 Located In: Florence Township, Goodhue County. 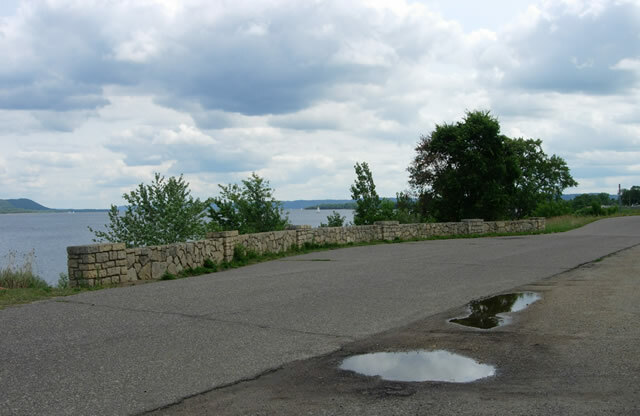 Several historic structures are scattered around the modern Lake Pepin Rest Area, situated about 2.5 miles north of Lake City along the eastern side of modern U.S. 61/U.S. 63. 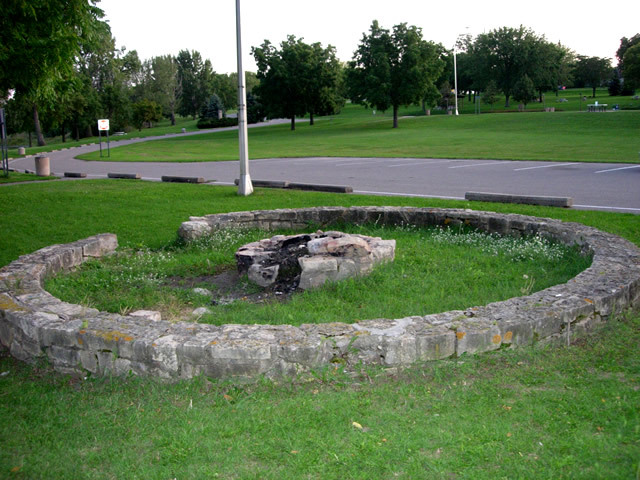 These include an historic marker, a council ring, the remains of a well, and a stone overlook wall, all constructed in 1939. All are sadly in poor condition and overshadowed by the modern facilities. 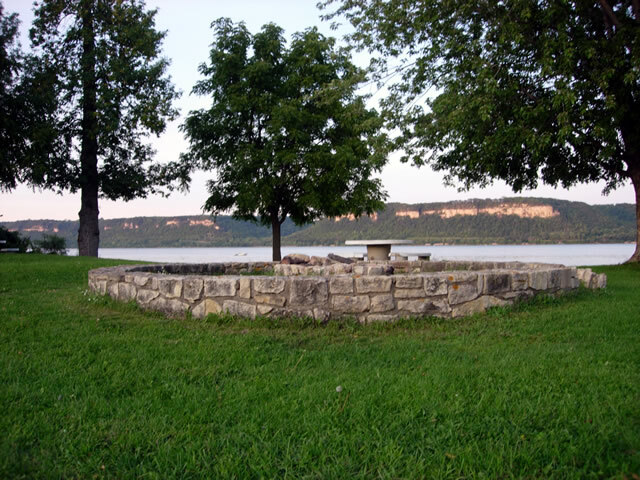 The council ring, looking east across Lake Pepin towards Maiden Rock and Wisconsin. An alternate view of the council ring, looking west. 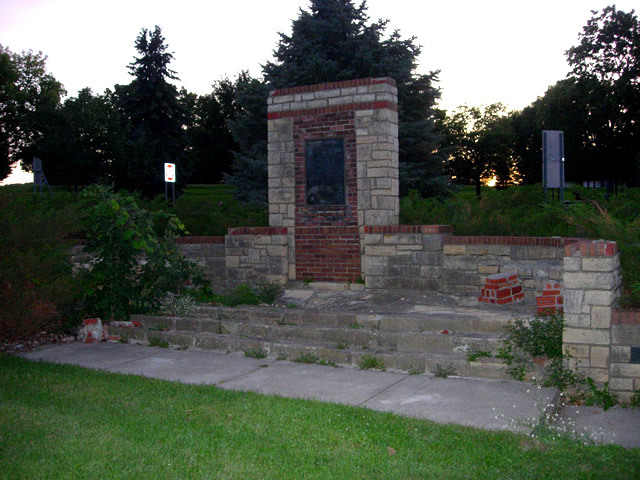 The crumbling historic marker, looking west. Note the stacks of red bricks on the right. 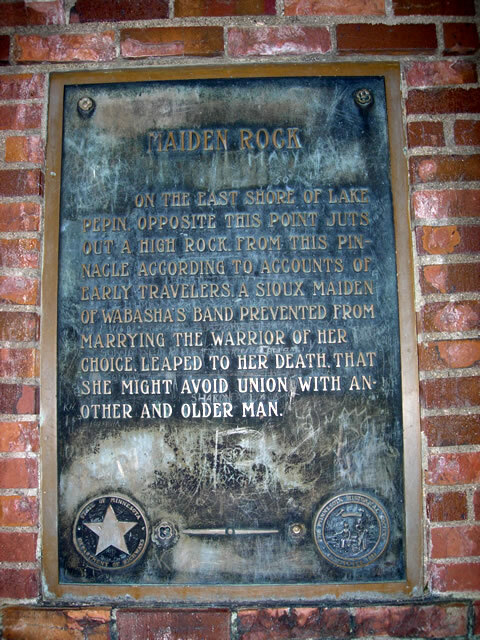 The bronze marker plaque, explaining the legend of Maiden Rock. Also note the seal of the Department of Highways in the lower left corner. 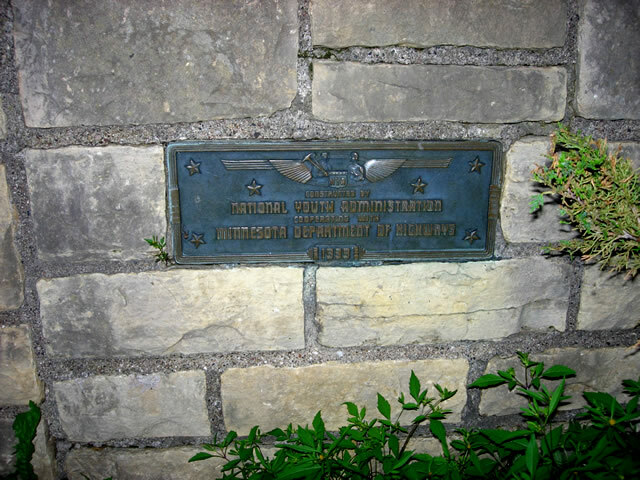 Marker crediting the historic marker's construction to the National Youth Administration, 1939. The lookout wall on the south end of the rest area. The service drive here is actually part of the original alignment of U.S. 61, bypassed way back in 1936 (for more info, see the article here). 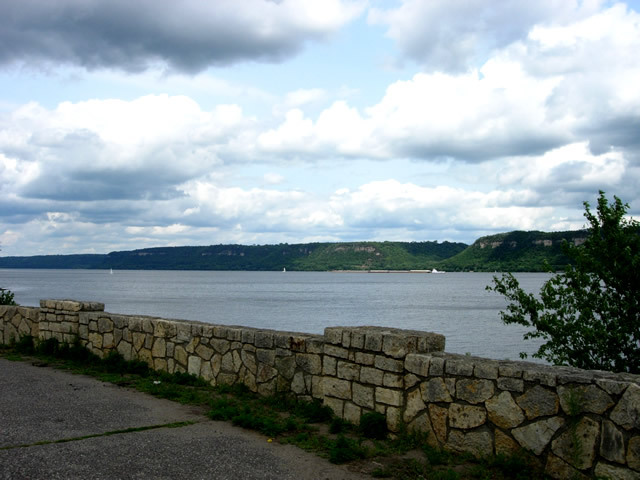 An alternate view of the wall, looking east across Lake Pepin towards Maiden Rock.